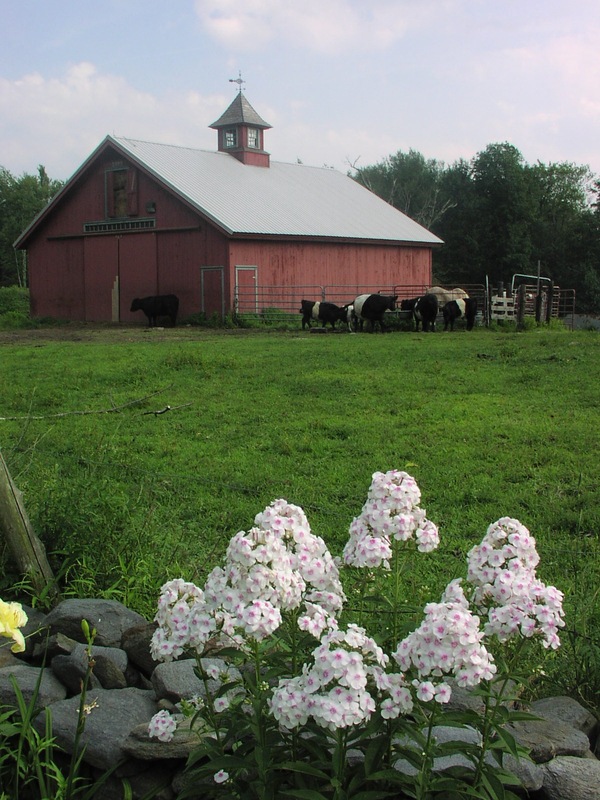 Our Quarry is located on our farm, in the hills of Ashfield, Massachusetts. 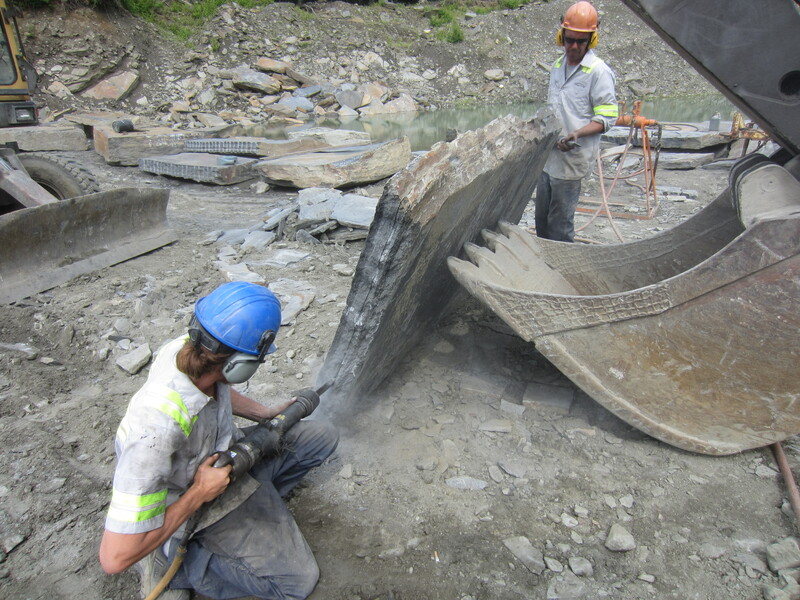 We are mindful of safe and environmentally conscientious quarrying practices. 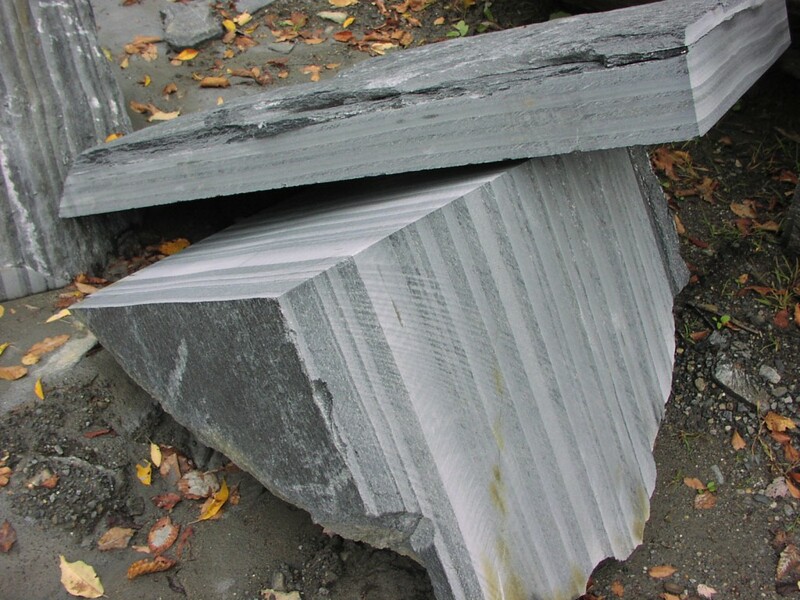 There is very little waste in our process as stone that is not suitable for dimension work might become a source of landscape stone. The “over burden” material is stockpiled for reclamation and also is a source of excellent fill for local roadwork…especially after natural disasters like the road destruction our town experienced after hurricane Irene. Our quarrymen take great pride in their work. They know they are part of an old and honorable occupation….indeed, some of the tools they use daily -like feathers and wedges- are the same type of tools that built the great pyramids or the Colosseum. We are mindful that stone is what endures and all that remain of ancient civilizations. It is a source of pride for all of us to be a part of this continuum. Here you can see a section of the ledge from which we extract our blocks. 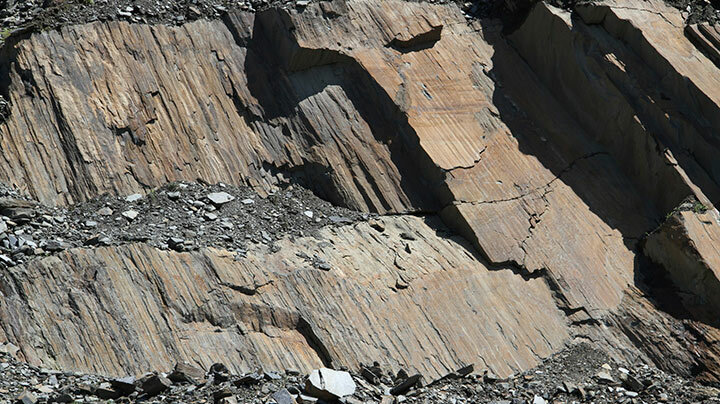 Note: One can also see the layering of the schist. A young trainee is learning how to split flagging from an experienced man. Note the seam just beginning to open in the rock. 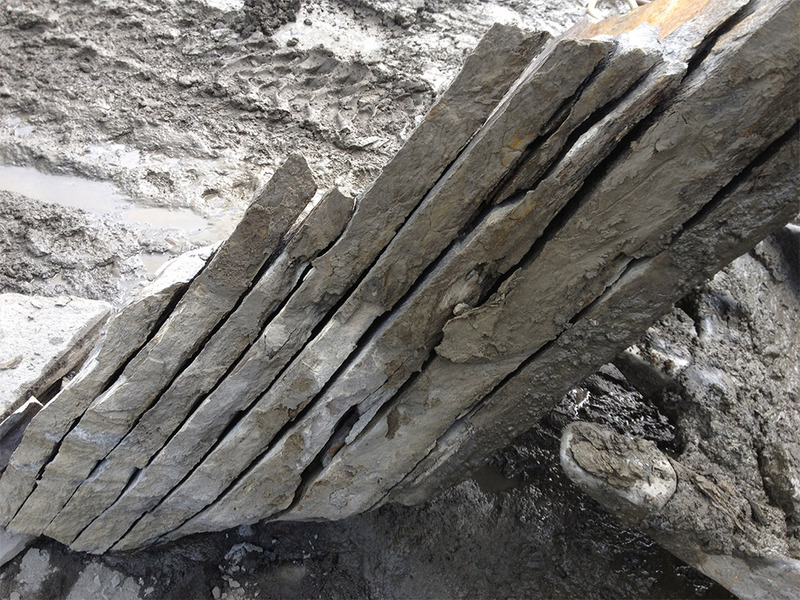 This is a great picture to demonstrate what a block looks like after we have split it into patio flagging.